The Pz.Kpfw. IV Ausf. H and Pz.Kpfw. IV Ausf. J tanks were produced in the largest numbers in the range known as Sonderkraftfahrzeug 161 in German terminology - 7,000 vehicles. This means that significant quantities of these vehicles were delivered to units from late Spring 1943 in case of the Ausf. H and from Summer 1944 as far as the Ausf. J is concerned. They fought on every front of the war. 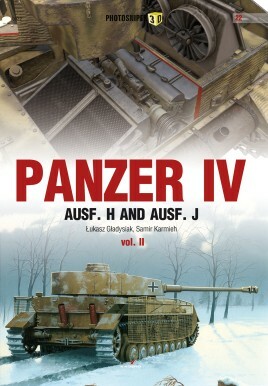 In addition to the Germans, as will be described in this book, other Axis forces also used of both types of these tanks. Sd.Kfz. 171 Panzer V "Panther"